Almost 6 million people live in Some 15.5 million people, or 38.3 per cent of Spain’s population of 40.5 million, live in the country’s 50 largest cities. Here some information about the 50 largest cities of Spain. In all of these cities we offer real estate bank bargains - repossed properties and forced sale. who are called Madrileños. Madrid has a continental climate in which large temperature differences can occur. The average year temperature is 20 degrees. In Madrid are located various important headquarters like the royal family, the government and the world tourism organization. 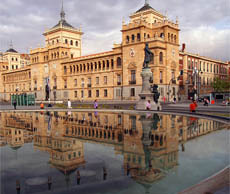 Because of the large banking and industrial sectors, Madrid is a very important and large international trading city. Madrid is along with Barcelona a very lively city full of energy. The beautiful River Manzanares flows right trough Madrid and it’s centre. Madrid is known for it’s art and culture. Barcelona is the second largest city in Spain and it is the capital of Catalonia. 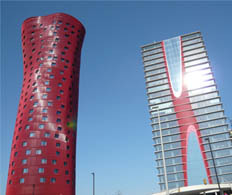 Barcelona has approximately 1.6 million residents. 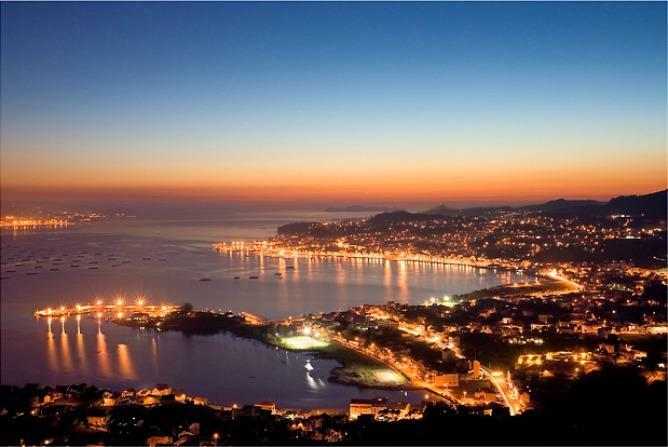 The city is located on the coast of the Mediterranean sea and at the other side it is surrounded by hills. In Catalonia they speak Catalan and Spanish but most people in the city speak also English. The weather in Barcelona is very nice and the average year temperature is 15.1 degrees and it barely rains. 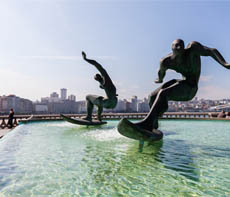 Barcelona has a two kilometres long coastline where you can take a dive in the Mediterranean Sea. The city centre of Barcelona is full of life and ambiance. It is a nice environment to live in with a big history. Barcelona is subdivided in 13 districts where you can find lots of modern and Art Nouveau architecture. We can offer a great choice of distressed and repossessed houses in Barcelona and its surroundings, because we work together with the largest Spanish banks. 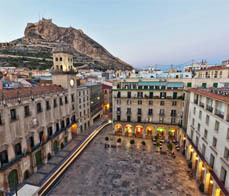 The third city of Spain is Valencia. Valencia has a population of almost 1 million. 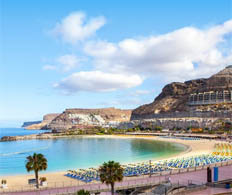 The region Valencia in Spain has a ranging population with at the most 2.5 million residents. 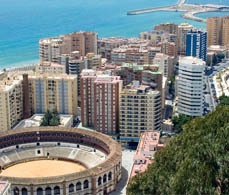 However the city Valencia has about 800.000 residents. 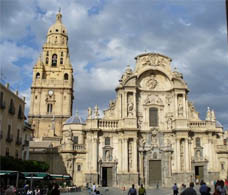 Valencia is situated in East Spain on de Mediterranean coast. The average year temperature is 22 degrees and it not gets very cold in Valencia. Nearby Valencia is also the Albufera Nature Reserve which is a freshwater lagoon with an abundance of fish. To go for a breathtaking, calming walk you can visit the natural park. 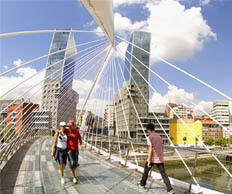 Valencia is a fast growing city because of many influences in science, training, recreation, trade, and art. Valencia handles 20% of Spains exports from their port. The Port of Valencia is founded by King Ferdinand in 1483. Today it's fifth busiest seaport in Europe. The port of Valencia was also used for the America’s Cup. 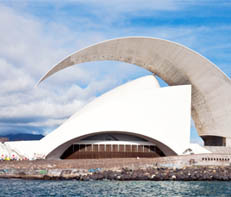 In 2007 and in 2010 the sailing competition was held in the Port of Valencia. 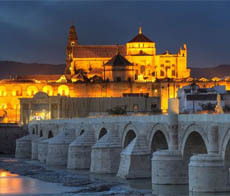 Seville or Sevilla is the city of Flamenco. It is located in Southern Spain in the region Andalusia. 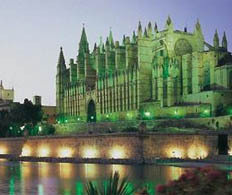 It has about 750.000 residents and they are called Sevillanos. 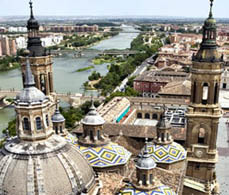 The climate in Seville is very warm and te average year temperature is 25 degrees. Because of the weather siesta is very common in Sevilla. Seville has three buildings that are on the UNESCO World Heritage which are worthwhile to visit: The Alcazar palace complex, the Cathedral of St. Mary and the General Archive of the Indies. Also you can find lots of museums in Seville and for going for a walk you can go to one of the beautiful parks and gardens. Parque de Maria Luisa is a public park that is worthwhile to visit because of it’s many monuments. 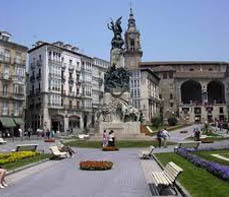 Some other large cities in Spain are listed below. 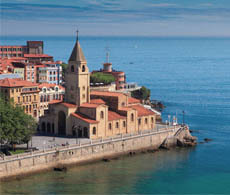 Real Estate Bank Bargains in these Spanish cities.